These stories and other coverage of Boston’s technology and biotech scene can be found at the Globe’s new betaboston.com site. 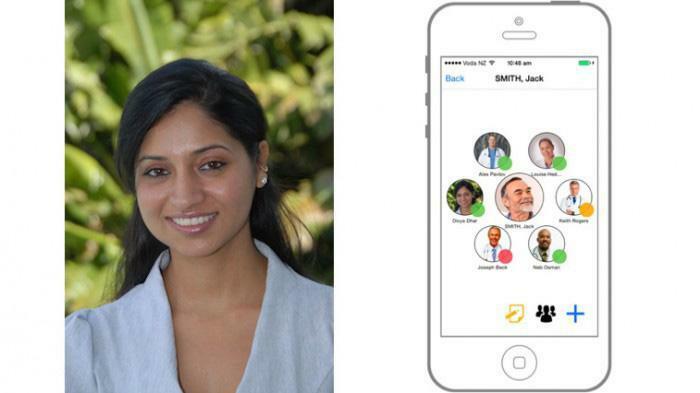 Could a mobile app save thousands of lives a year? Seratis, a startup working out of the Harvard Innovation Lab and founded by a medical doctor, thinks so. Cofounder Divya Dhar had the idea for Seratis while working as a physician and seeing the results of poor communication between staff. That’s because the dominant technology for staff communication about patients barely counts as technology: The pager, for sending messages, and the white board, for listing who is caring for which patient. Dhar, who has just finished a dual degree at the Harvard Kennedy School (master’s in public administration) and Wharton Business School (MBA), launched Seratis in April 2013 with cofounder Lane Rettig. The company has developed a mobile app to replace both the pager and the white board. The first component is messaging that allows staff to securely send messages. The second is a list of everyone who is part of a patient’s care team (including social workers, case managers, and others not usually listed on the white board). Staff can also message an entire group. Seratis has been running a pilot of the app at a Cornerstone Healthcare Group facility in Texas and is talking to several Boston hospitals about the technology, Dhar said. The startup won the HATCH Pitch contest at SXSW in March and got $850,000 from Verizon’s “Powerful Answers Award” in January. Previously based in Philadelphia, Seratis expects to work out of the Boston area for at least this summer, and after that will likely relocate..
■ BitCoin Nation: software to access cash for bitcoins on ATMs. ■ Energy Harvesters LLC: a mobile charger fueled by walking. ■ Increment: sensory toys that foster developmental skills. ■ Moodsnap: mood-based playlists inspired by images. ■ Sharalike: sorts your photo tsunami, selects the best pictures, and creates animated slideshows. ■ TimeOut by SKARA & Co.: baseline and on-site mobile concussion testing app for athletes (from Winchester High School students). This year’s pitch contest will be at the Faneuil Hall Meeting Building from 2 to 4 p.m.